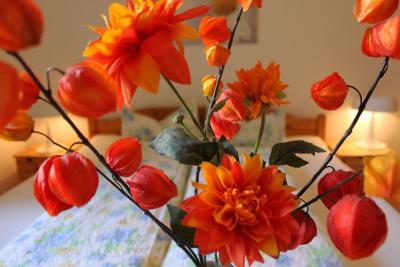 Lock in a great price for Pension Stoi budget guesthouse – rated 8.4 by recent guests! The room was extremely clean but the linens were not crisp clean. It was used by a previous a guest. The towels were very worn out, not consistent with the Very clean new room. Please provide 2 pillows because they were very soft. Pls provide a Kittle to each room, other very in considerate guests do not return it back to the lobby outside the room for the other to use it. I hope you Will improve when I come back. Thank you so much for allowing me to check in early. Wifi was excellent in the room. Love the location and the staff, super friendly and nice. 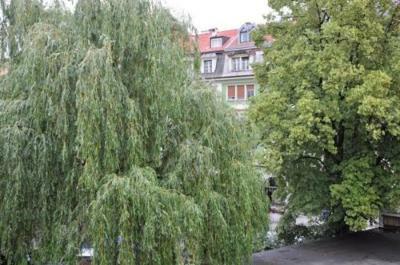 The location of the Pension Stoi was perfect! 5 minute walk to the main bus/train station one way, 5 minute walk to the Landhausplatz the other. Very clean, very nice staff, good sized beds! Also comes with a parking spot and is pet friendly! Great value for the money. We had four people sharing a room, over New Year's. 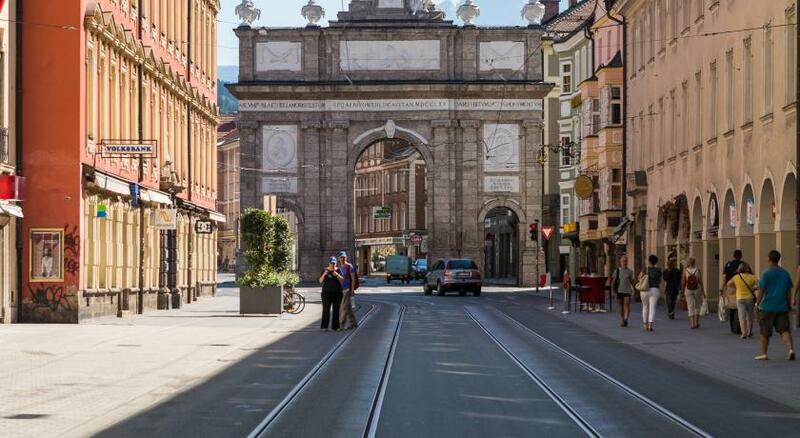 Was having a terrible time finding a room in Innsbruck that wasn't a kings ransom. It was sufficient for our short stay, within a few minutes walk from the train station, about 10 minute cab ride from airport. Easy 10 minute walk to the center of town. Quiet location. Adequate place to stay if you want to save a lot of money but still have great access to the city. Basic, Clean and Comfortable. Bagutte chain located nearby serving breakfast. Near to Bus transportation center to explore nearby regions. Nice walking distance to the old town, walking past quaint shops. The room of course, as we book a budget hotel we don't expect to get this spacious room with a balcony. They also has a coffee machine and snack bar at the alley so you wouldn't get starving even in the middle of the night. And last, their staffs were very friendly and helpful. The hotel is no frills, but it was very comfortable and close to the station with very friendly staff! 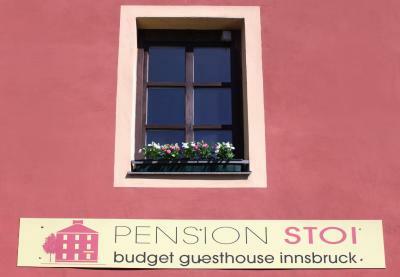 Pension Stoi budget guesthouse This rating is a reflection of how the property compares to the industry standard when it comes to price, facilities and services available. It's based on a self-evaluation by the property. Use this rating to help choose your stay! 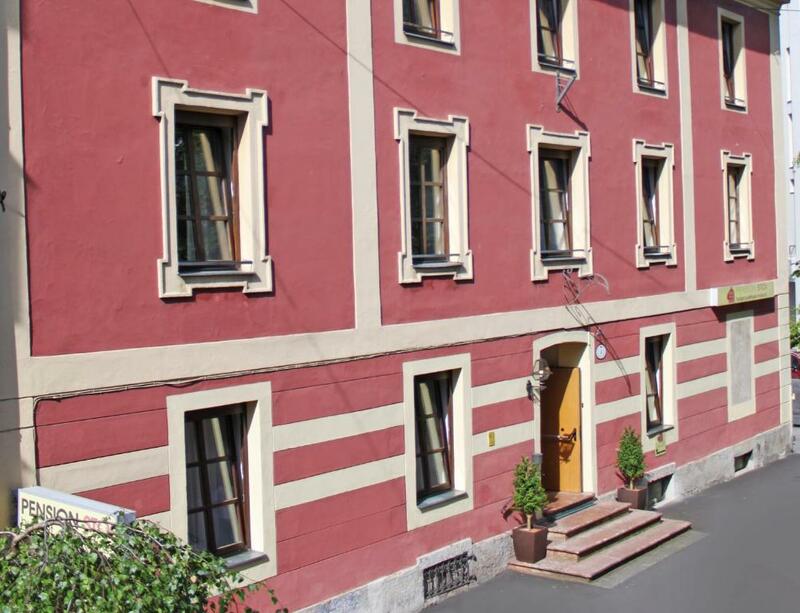 Located in the center of Innsbruck, PENSION STOI budget guest house offers functionally furnished rooms in a quiet location a 3-minute walk from Innsbruck Main Station. Free WiFi and free public parking are available. You can choose between rooms with a shared bathroom and toilet on the same floor and rooms with attached bathroom. Some rooms have a balcony- and all offer a TV. PENSION STOI has a vending machine with hot beverages. A café, in which you can have breakfast every day, is only a 2-minute walk away. There are many restaurants in the immediate vicinity. 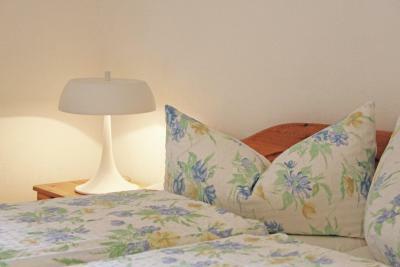 When would you like to stay at Pension Stoi budget guesthouse? Room with cable TV and a bathroom with a shower. House Rules Pension Stoi budget guesthouse takes special requests – add in the next step! Debit card Pension Stoi budget guesthouse accepts these cards and reserves the right to temporarily hold an amount prior to arrival. Pension Stoi budget guesthouse accepts these cards and reserves the right to temporarily hold an amount prior to arrival. Please note that next to the property will be an ongoing construction from September until end of November 2018, and parking will not be possible. Please inform the hotel as soon as possible about your arrival time, as the hotel reception is only open until 21:00. The amount of free parking spaces is very limited. They can only be requested by telephone. Please note that no parking spaces will be available without a request by telephone. There are many parking spaces and parking garages nearby that can be used at an additional cost. 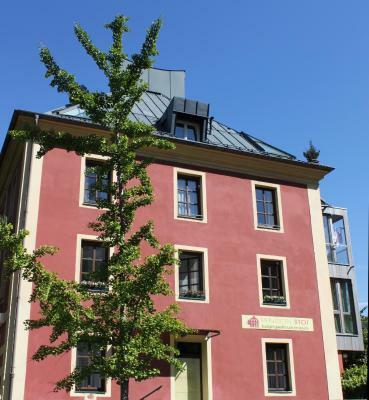 I stayed at Pension Stoi for one night after a trip to St Anton. The hotel provides simple, clean, and spacious rooms for a very affordable price - really good value for money and I had a very comfortable stay. Staff were very friendly and accommodating. I arrived quite early and they happily found another room that was ready for me. I was also struggling with a leg injury and using crutches, so they helped me with my bags and the stairs and made me feel very welcome. 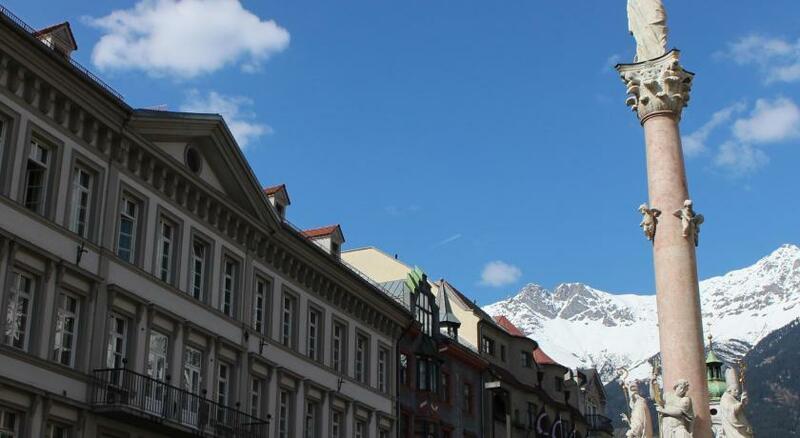 The location is fantastic too, right in the centre of Innsbruck, close to the train station and very easy to walk to the old town and Nordkettenbahn - even on crutches! For the price you pay this is a fantastic place to stay and I definitely would return! The pillows were thin, we needed to fold in half to get a good rest. The honesty shop was readily available for coffee and drinks. The room was spacious enough and nicely decorated. Reception was nice and helpful. Location is perfect! Just few mins walk from central station. Staff were very nice, helped us store our bags and check in early! Great little place, very close to the train station and supermarket. Communication about arriving later than 21 was a little confusing. Had to call the the owner in order to check in as I could not get in as door was locked. I had informed the pension when I arrived. Not really equipped for late arrival / early check-out. We left at 7 while the reception opens at 8, so it was not clear where we should leave the keys. And walking all the stairs with heavy luggage can be a problem for elderly or injured people. 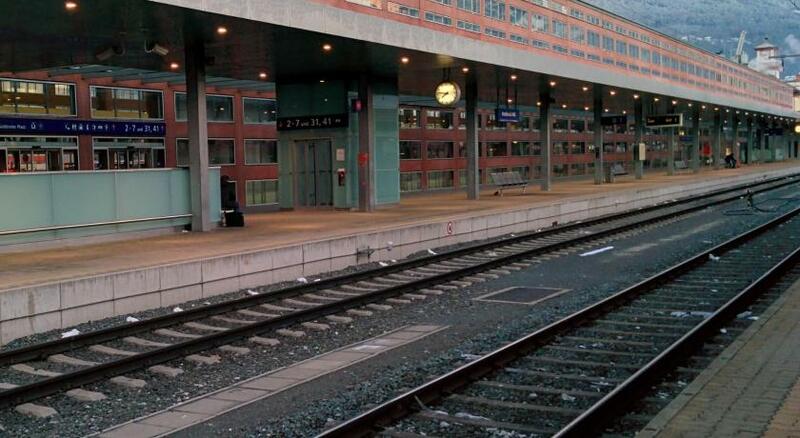 Great location next to the station. 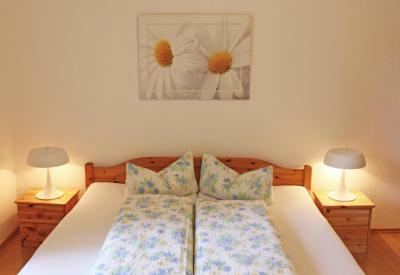 Nice rooms with a good bed and clean and comfortable bathroom. Would definitely book again. very family oriented and friendly.. The water was too cold to shower. 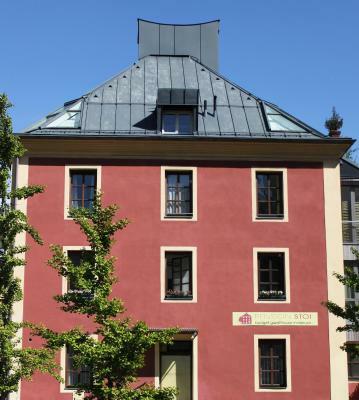 It is perfectly located, just nearby the train station and 10 Minutes walk to the oldest centre of Innsbruck. The room was big and clean. Noisy floor might wake you up when your neighbor gets up early in the morning. One key pr room might be troublesome if your friend wants to stay out longer then yourself as you need to get up and lock them in. 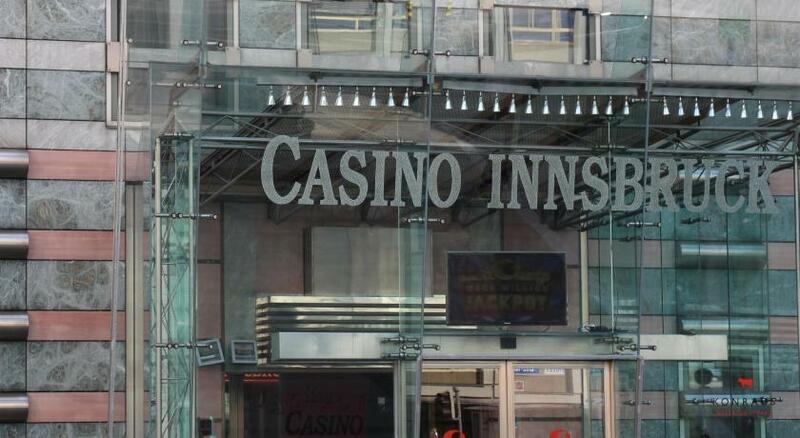 Fantastic location, nice staff, very nice and reasonably priced honesty bar outside the room and free wifi. Good value for money.